Traditionals are abandoned for all time. New moments continue the line under Higher Guidance. Gaia initiatives begin as support energetics are in place. Movements of Light become the movements of Gaia collective. Foundations for Gaia uplift phase have completed. Fabrications of Gaia Higher Intent have completed. Necessities for Gaia upliftment protocols have completed. Processes of completion are soon to commence. Gaia awaits Hue-manity collaboration and hu-manity up-movement intent. Productivities in New Gaia Paradigm have lost all meaning. Relevance to schematics is high. All recollections from past intentions are null. Statisticians come to the fore as Nova Energetics come forth. Selectivities of Energetics at Gaia hu-man level has refined to enable those who have until this moment resisted alternative pathways. All remaining un-cooperatives are being removed by the Light. Eruptive planetary energetics come to fruition shortly, and catalyze “massive” changes. 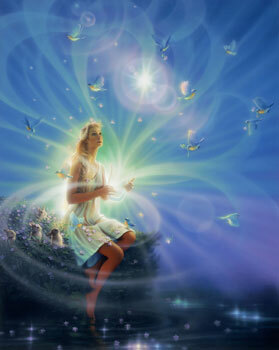 Hue-Beings are called at this moment to recognize and receive Higher capabilties and skill sets. Alternatives to the concepts within this message are not supported. Standing waves of Cosmic-enabled energetics couple with Higher Realms via Hue-manity partnership. Shadow realms have dissolved and may not be reformed as Cosmics will not permit. Severance from prior pathways is near completion. Entrustments are key at this moment. Collectives of Light are empowered. Co-opted Energies have been returned to valid energetic “owners”. Placations no longer effective, at any level. Fortifications continue as the new realms are prepared. Gaia collective stands ready for eruptive Energetic and consciousness ascension. Flash points have passed. No longer required. Spreading of wings takes place at this moment. Proteus mechanisms conflagrate unawakened energetics of lower Gaia. Star flashes make themselves known in highly apparent manner. Participations increase with the Gaia arising. Fountains of New Life abound as Nova Gaia arises. Intentions of Hue-manity awakened and hu-manity collective coalesce into a unified collaboration. Frequencies of Cosmic intention energetics permit Higher Navigation to Star- Collectives. Maturation of the hu-man being is essential and occurs quite rapidly in the coming days. Philanthropics flourish as continuities are awakened and unveiled. Discrepencies in pathways dissolve quickly at this moment. “Sterilizations” of lower energetics is now underway. Multiple timelines have sealed… only the Higher Gaia timeline remains. “Casual” participants in the lower energetics become casual-ties.